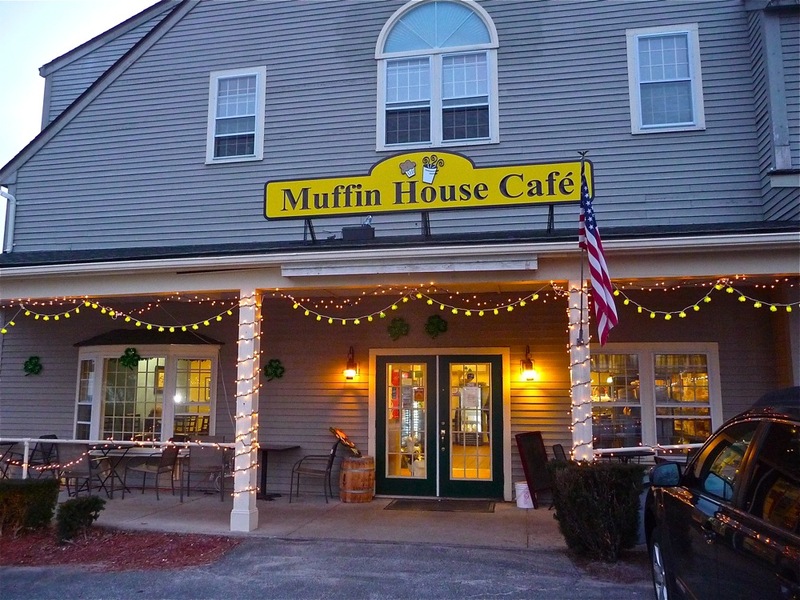 Muffin House Cafe, Medway MA: Best Local Blueberry Muffins of All Time? 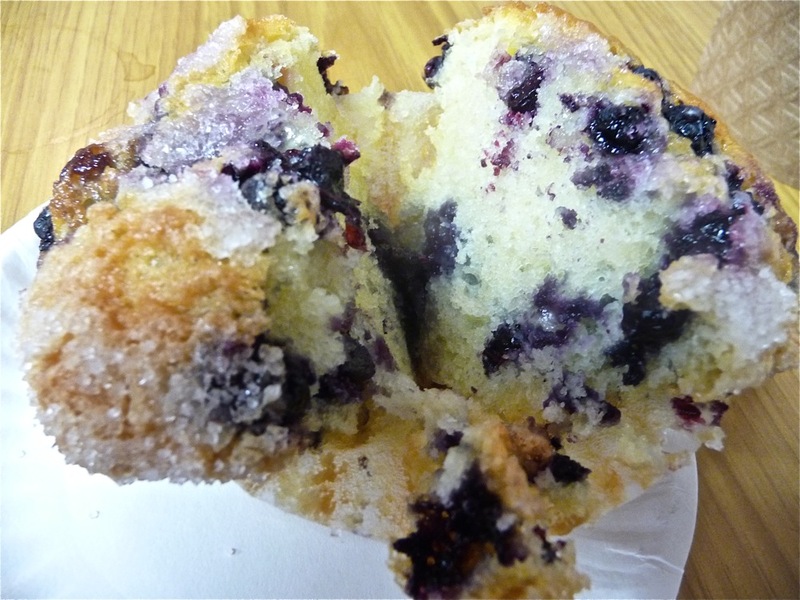 Muffin House Cafe in Medway, Massachusetts: the Best Local Blueberry Muffins of All Time? by Eric Hurwitz. Page created on 5/7/2017. Many remember back in the day the amazing blueberry muffins from the former Jordan Marsh department stores across New England. That beloved baked good was chock full of blueberry muffins and had that crispy, caramelized sugar topping with a soft, flavorful middle. There was simply, nothing like Jordan Marsh blueberry muffins, and consequently, the muffin became a household name in New England. 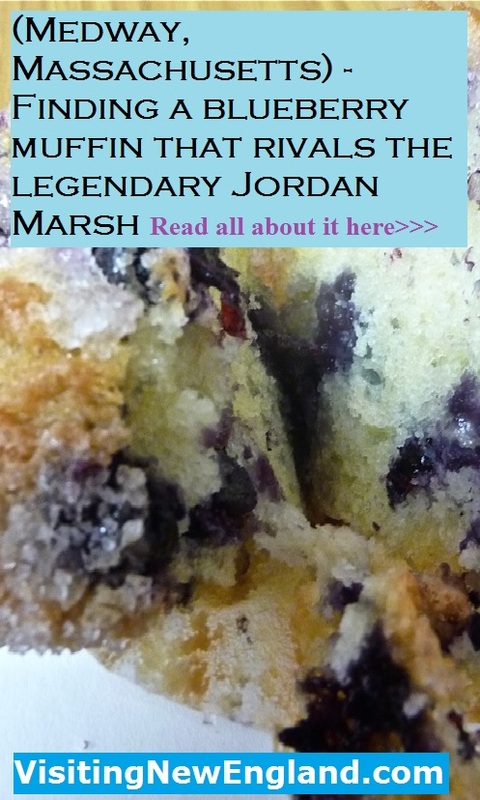 Once Jordan Marsh closed, fans of its blueberry muffins suffered through many inferior recipes and muffin places trying to duplicate the legendary taste. It seemed odd that the recipe couldn't be mass duplicated, as it's not exactly rocket science to make muffins. But we all know that passion might be the most important element in creating food, and a local Boston area business owner used his love of baking in hopes of bringing back the Jordan Marsh blueberry muffin taste to locals longing for the small domed cake. Several years ago, Sheldon Strasnick opened the Muffin House in Medway, Massachusetts and perfectly recreated the Jordan Marsh blueberry muffin -- perhaps even better. Those who wax nostalgia might be outraged that this writer would suggest that a blueberry muffin from the cold and passionless 21st century could outdo the Jordan Marsh version of a warmer and gentler era, but I think it does. Like the Jordan Marsh blueberry muffin, the Muffin House blueberry muffin contains blueberries in every bite and that aforementioned caramelized, crispy topping and spongy middle, but the Muffin House takes it beyond. The top of the muffin is bigger than the Jordan Marsh kind and the consistency is better. This is the beauty of an on-site small business owner keeping an eagle eye on the quality of his product, starting in the wee hours of the morning every day. While no photograph can ever capture the taste of a blueberry muffin, this gives you an idea of what's in store at the Muffin House. Mouthwatering, isn't it? The great news is that the Muffin House is not a one-hit wonder -- that is, just offering blueberry muffins. The full-service bakery offers other flavors of muffins and baked goods that pretty much match the quality of the blueberry muffin. The apple cinnamon, cranberry orange and banana chocolate muffins, in particular, are outstanding as well as the scones and whoopie pies. Breakfast sandwiches, wraps, paninis, club sandwiches, homemade soups, salads, and a wide variety of teas, smoothies, hot and iced coffees, as well as an espresso bar help comprise a high-quality cafe and bakery. The dining room is small-town-pleasant with regulars always gathering, artwork on the wall, a fireplace, and flat screen television. I have always enjoyed a good meal or snack here, but if it came down to ordering one item, it would definitely be the blueberry muffin. Why not? After all of those years missing the Jordan Marsh blueberry muffin, making up for lost time is essential when it comes to a classic blueberry muffin taste! The Muffin House is located at 116 Main St., #1, Medway MA. Tel. 508-533-6655. Be sure to check out the Muffin House Cafe for more information and the Muffin House Cafe Facebook fan page for updates and great photos! Editor's note: VisitingNewEngland business partnerships started on Jan. 30, 2017, and differ than feature articles previously posted on VisitingNewEngland. Businesses pay a small, one-time fee to have pages like this appear, and first must be accepted by VisitingNewEngland.com editor and publisher, Eric Hurwitz, as a business he approves as part of "real New England travel" to keep the integrity of the site. Businesses that sign up for business partnerships receive priority by receiving more social media exposure and link placement on VisitingNewEngland.com. Contact me if interested in forming a business partnership.